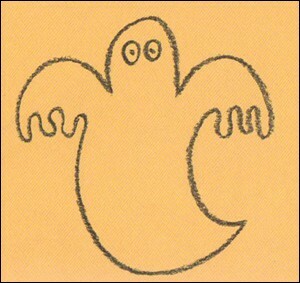 To draw this Halloween character, you will need a white sheet of paper, a lead pencil, a gum eraser and some felt-tips and colored pencils to color in your masterpiece! 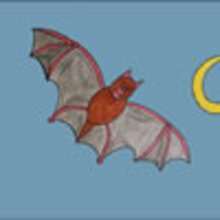 Now follow step by step the indications below to make a nice Halloween drawing. 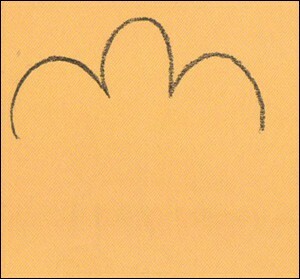 1) Draw three bumps at the top of a sheet of paper: one in the center for the head and two others on each side for the arms of the ghost. 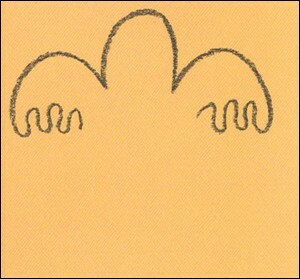 2) Draw the sleeves as indicated in the picture. 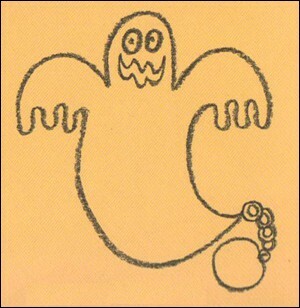 3) Draw the body of the ghost and draw two round eyes on its face. 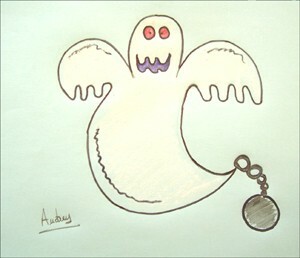 4) Draw a smiling mouth and a chain to finish your Halloween ghost. 5) Color it with the colors of your imagination. Here is Audrey's drawing! Send us yours: support@hellokids.com !